GeForce GTX 1060 is a powerful higher mid-range graphics card and is one of the most popular graphics cards in the GTX 10 series lineup. A standard GTX 1060 card generally comes with 3GB or 6GB GDDR5 memory having different number of CUDA Cores. The 6GB one is more powerful with 1280 CUDA Cores while the 3GB variant has got 1152 CUDA Cores. Recently, Nvidia has added another variant to GTX 1060 lineup that comes with GDDR5X memory. GDDR5X memory is a bit faster than the GDDR5 memory and can be overclocked higher for more performance. 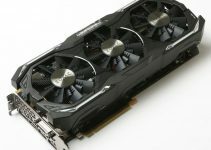 The addition of this GDDR5X card has created a bit of confusion in the minds of customers that whether they should go for the newer GDDR5X GTX 1060 card or they should be better off the regular GDDR5 variant. Also, there are other GTX 1060 variants too and below you can see all of them, but here I am going to compare 6GB GTX 1060 GDDR5 and GDDR5X card on all major points and tell you which one is best to buy. Here is head to head comparison between GDDR5 and GDDR5X GTX 1060 cards based on their specifications, performance, features, power consumption and pricing. GeForce GTX 1060 is built on the Pascal GPU architecture with 16nm process, whether it is a GDDR5 or GDDR5X variant. 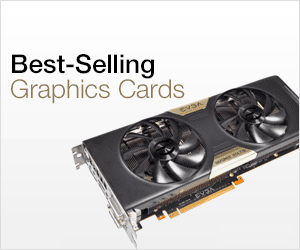 However, they do differ on the basis of GPU chip being used in these cards. The standard GDDR5 one uses GP106 chip while the GDDR5X uses GP104 chip that originally belongs to GTX 1070 and GTX 1080 cards. I think what Nvidia has done here is locked down some of the excess CUDA cores in GP106 chip and converted it into a GTX 1060. So, this new GTX 1060 card is basically a cut down version of GTX 1070 and GTX 1080 card. However, you won’t be able to unlock the locked CUDA Cores and convert this GDDR5X GTX 1060 card into a GTX 1070 or GTX 1080. Both the 6GB GDDR5 and GDDR5X variants of GTX 1060 comes with 1280 CUDA Cores with same GPU clock speed. 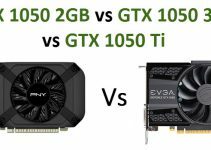 Video memory is the major difference between the older and newer GTX 1060 card. The older GTX 1060 comes with 6GB GDDR5 memory having 192-bit interface, with speed of 8Gbps and offers bandwidth of 192GB/s. The newer card may come with different memory type which is GDDR5X but it has the same specifications i.e. 192-bit interface, 8Gbps memory speed and bandwidth of 192 GB/s. However, GDDR5X are supposed to run at 10Gbps speed and can go up to 12Gbps. This means you can overclock it from 8Gbps easily for better performance. Also, third party manufactures can offer the GDDR5X card at higher memory speeds. For example, Palit has launched the GDDR5X version of GTX 1060 card (Palit GeForce GTX 1060 GamingPro OC+) with memory clock speed of 8800 MHz, which is 800 MHz greater than that of the reference card. There is also a 9Gbps GDDR5 version of GTX 1060 card available, but this card is very rare. It comes with pre-overclocked 9Gbps GDDR5 memory, offering bandwidth of 216 GB/s which is considerably higher, even than the GDDR5X card. 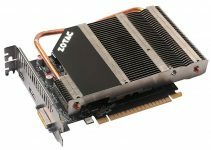 Examples of this card are Gigabyte AORUS GeForce GTX 1060 6G 9Gbps and Asus GTX1060-O6G-9GBPS. Features remain unchanged as both these cards come with same features that include support for DirectX 12, OpenGL 4.5, Vulkan, G-Sync, VR ready, GPU Boost, Nvidia Ansel, NVIDIA GameStream -Ready and more. Both of these cards lack multi-GPU SLI support, but you may see an SLI connector provision on the GDDR5X card, but it is non-functioning. GDDR5X GTX 1060 card with higher memory speed may perform a bit better in games at higher resolutions i.e. 1440p and 4K, if we compare it with the standard GTX 1060 card with 8Gbps memory speed. But if the memory speed of both the cards (GDDR5 & GDDR5X) is same then there is nothing to compare as both cards will offer the same performance. You may be able to see a performance jump of about 5% at higher resolutions, if the GDDR5X is clocked at 10Gbps or may be higher. Power consumption figure for these cards remain the same which is at 120W, and they require a good 400W PSU for their working. However, highly overclocked GTX 1060 cards from third party graphics card manufacturers may consume more power, and I advise a 450W to 500W PSU for them. Well, the GDDR5X GTX 1060 will sell at almost the same price of a standard GTX 1060 card with GDDR5 memory. However, prices may differ from manufacturer to manufacturer and you can check the current prices of these cards from the links given below. Honestly, there is nothing special about the newer GTX 1060 GDDR5X card. Also, the slightest bit of performance gain that new GTX 1060 promises over the older GTX 1060 is almost non-tangible. 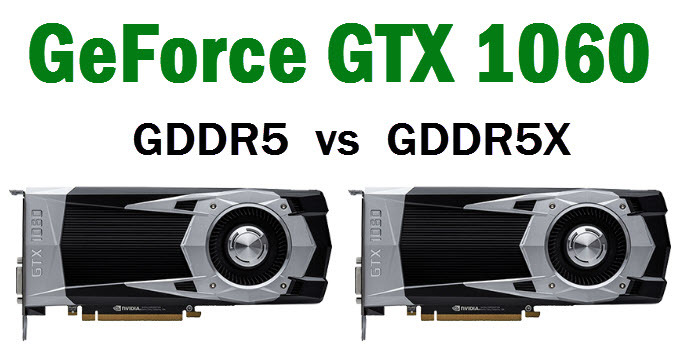 However, if there is no price difference between both these cards then it would be better to go for the GDDR5X variant because you can overclock its memory to higher speeds and might gain some performance, otherwise you are better off with older GTX 1060 which is still a heck of a card. If you have something to say or want to ask something then please do so by leaving a comment below.